Generally, when one hears a statement that is pedestrian, the best course of action is to regard it for what it is: a pedestrian statement. Obama’s remark really should just be passed a long and forgotten; but, this current political sphere has decided to elevate it to an absurd level. What has been unleashed is a sleuth of media releases concerning the “true history” of the Crusades. This post will not be counted amongst the Crusader apologists. What is presented to you, the esteemed reader, is a former-apologist’s recantations of his former charge. When I converted to Catholicism, there was this spirit of needing to solidify the ground by which I chose to stand. Years later, views have changed and information was re-analyzed. As such, this is a very brief counter to the ideological views that both the promoters and detractors learn by. 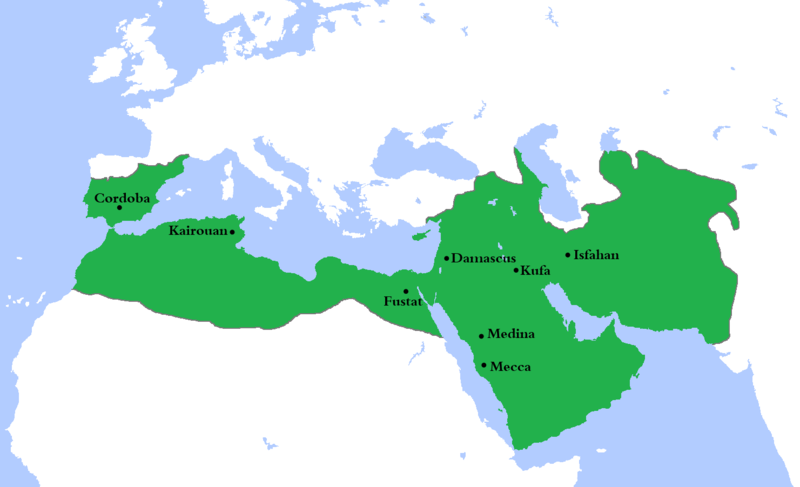 One point needs to be very clear: the Umayyad Caliphate was very short lived. The Islamic unity did not withstand the schism between the Sunni and Shiites which divided this caliphate. This is not what the Crusaders were fighting. The Crusader, specifically during the First Crusade, were primarily fighting the Sunni Seljuk Turks and the Sultanate of Rum in Anatolia. The Egyptian Caliphate at the time was Shiite <although this would change under Saladin who politically converted Egypt to Sunni>. The stories of pilgrims being slaughtered on their way to Jerusalem are true, but it must be remembered that this itself was not even coordinated. The Seljuk fought under the decentralized authority of military leaders who primarily gained wealth from plunder. The Levant, while still having Arabic leaders, was primarily a frontier of Turkish warbands. If anything, the Muslim leaders had very little control over what was happening and they too also suffered economically from this. The Crusaders were primarily fighting these warbands which would become progressively more centralized under Kilij Arslan against the Crusaders <who, for the record, was busy fighting other Turks before fighting the Crusaders>. 2. But the Crusades were ethical due to Just War theory! Another defense centers primarily on the Church’s stance concerning Just War and what is needed for a just cause. The problem I have with relying heavily on the causa bellum argument is that the just war theory pertains to one thing: the initiation of a war. Just War theorists, in my honest opinion, continue to run into an issue that an initially just cause equates to an overarching value judgment of a war despite the incidence that occur within the war. In short: good cause means good war despite bad occurrences. This might have further underpinnings, especially among Catholic scholars, with the claim that effects are never greater than their cause. The initial issues that I have with this position is that it relies on the broadest denominator of judgment in order to discern value. Within the pursuit of knowledge and clarity, refinements are necessary in order to properly assess information. When studying the Crusades, there are instances of heroism but also instances of depravity. The Gesta Francorum presents pious figures such as Raymond de Toulouse, and horrendous acts such as the cannibalism of dead Islamic soldiers <which, to be fair, horrified the Crusaders as well>. 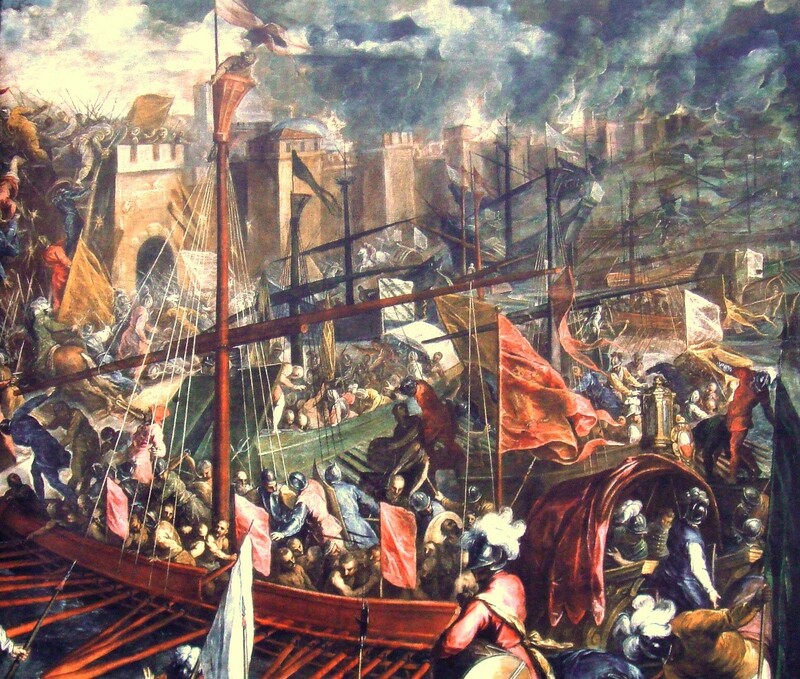 The Fourth Crusade with the sack of Constantinople also appears as giant black mark on the Crusader record. Specifically with regards to Constantinople, the claim that good causes remain sound despite bad effects can be challenged. Just War theory acts as if the causes and effects of a particular situation are isolated enough to be adequately valued. Rather, the causes of wars themselves find themselves as effects of causes that led to them. The further split between East and West, the collapse of the Shiite Caliphates, the rise of the Sunnis, the recurring infighting in Christendom, et al emerge as effects that act as causes that lead to much greater events in history than that which triggered the Crusades. And what triggered the Crusades? According to Pope Urban II, the violence done to pilgrims and Eastern Christians by the Turks <who were not even affiliated with the Umayyid Caliphate…>. To conclude this, a brief mention must be made about the secular responses to the Crusades. The general opinion of secular scholars is the Crusades were immersed within economic causes. The issue I have had with the economic interpretation is that it does not adequately match up to the data. Christendom, after the First Crusade especially, was generally plunged into economic ruin as debts would be made and the debtor would inexplicably die overseas. The time after a particular Crusade were generally violent pursuits to re-solidify an economy broken by war debts. Financially theories, in my opinion, are more applicable to the Reconquista of Spain as the Spanish territories were more valuable than the Levant. This is also true for the Albigensian Crusade which occurred in Toulouse, a crucial trade route between the Spanish and French kingdoms. If anything can be ascertained by the invalidity of a pure economic theory <in addition to the bellicose views of the apologists>, the Crusades covers a grey area of conflicting motives. The apologist may find shelter in the moral haziness, but the grey still does not shine with the light of grace. Andrew Simmons is a graduate from Aquinas College and a student of the Ukrainian Catholic University. He is working on a masters in philosophy <and theology>, but has to go through a lot of language courses. He wishes people would take a deep breath and calm down before sending the painful controversy train onward….maybe chill with yoga and the Red Hot Chili Peppers. Can you use NFP with a Contraceptive Mentality?